At Peak Family Dental Care, we believe that your entire family deserves convenient, high-quality dental care in a comfortable setting. As such, Drs. 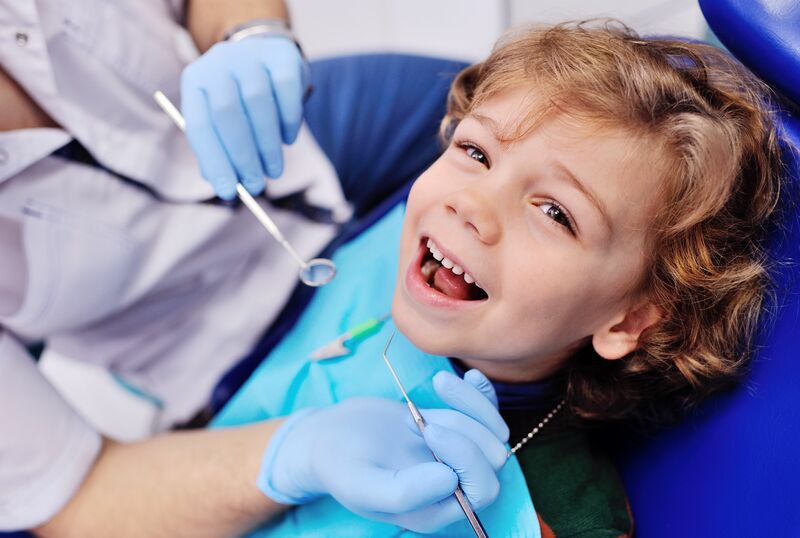 Bryan J. Shanahan and Ryan Tuinstra provide pediatric dentistry services including sealants and fluoride treatments to protect your child's healthy smile. Our practice in Cottonwood and Flagstaff, AZ, is also equipped with the latest technology to analyze, diagnose, and treat conditions as efficiently as possible and create a good treatment experience for younger patients. By beginning routine dental visits at a young age, your child can maintain good dental hygiene throughout their life and learn early on the best methods for caring for their smile. Pediatric dentistry is an important part of caring for your child's health. As your child's teeth erupt, they are at risk of the same decay and damage as an adult's smile. To ensure that primary teeth are healthy, it is essential that they are seen by a dentist early. Depending on your child's development, their first dental appointment should take place between one to two years old. We have made our practice child-friendly with a fun prize box, gentle treatment, and caring doctors. In addition to protecting oral health, establishing regular dental care at a young age can also allow children to build a positive relationship with their dentist and dentistry in general. With good associations, they are more likely to continue these habits into adulthood. To this end, we like to use parents as an example for young children. By regularly attending check-ups yourself and allowing your children to observe your treatments, they can see that positive interaction and feel safe and comfortable in our care. We treat our young patients with compassion and gentle techniques for better treatment experiences. In order to protect your child's teeth from decay, we provide both sealants and fluoride treatments. Sealants are a thin, plastic coating that can be easily and gently applied to the teeth to prevent bacteria and plaque from building up in the grooves. We typically apply sealants to molars or teeth with deep crevices that are susceptible to decay. Fluoride treatments can also help protect against cavities by strengthening teeth through the mineralization process to rebuild tooth enamel. Our team can safely administer a fluoride treatment in just a few minutes, ensuring your child receives the appropriate dosage and optimal effects. Children may undergo fluoride treatments two to four times a year depending on their risk of developing tooth decay. Each of our doctors understands the sensitivity that pediatric dentistry requires. We have refined our techniques and approach to help your child have a positive experience. Our entire staff is dedicated to helping your child feel comfortable in our care. We have made our practice child-friendly with a fun prize box, gentle treatment, and caring doctors. Contact us online or call us at (928) 774-2500 to protect your child's smile by scheduling a consultation with one of our outstanding doctors.